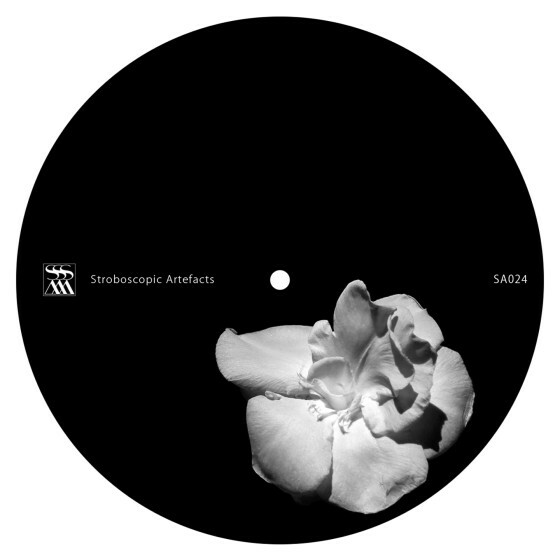 The debut collaboration between techno alchemists Ben Klock and Lucy will probably provoke quivers of anticipation before a single note has been heard. After all, both producers have carved out names for themselves as scene innovators at what they do, and both have already proven that they can more than capably work in a duo format without sacrificing an iota of their unique aesthetics: in Lucy's case, there has already been the sublime Zeitgeber pairing with Speedy J., and Klock has joined forces with the likes of Marcel Dettmann to craft some of the more memorable output from the Ostgut Ton label. This new release makes good on each producer's talent for working with epically unfolding tracks, maintaining a strong command of both 'drone' and melodicism, and envisioning sound as a kind of inter-dimensional mass transit. As the record indicates, things can get very interesting when the two working methods superimpose perfectly, but can be just as interesting when the two fall slightly out of phase with one another. Listeners familiar wit the classic kosmische feel will be taken immediately by the opening gambit "Bliss," whose feeling of floating through the coldness of space is accompanied here by nicely warm production values. The bassline that introduces the subsequent track ("War Lullaby") is close to being a continuation of the opener's leitmotif sequence, although with a change in atmosphere that will keep curious ears from turning away too soon: an FX-shrouded voice delivers a monologue at once seductive and foreboding, followed by a confident kick thump with ephemeral trailing clatters in tow. This affective orientation pulses through the whole record well, building up to the second rhythmic track ("Santeria") which is the busiest and most engaging of the bunch. Here a variety of sonic flavorings are ritually thrown into the pot and allowed to simmer - fleeting snatches of conga, phasing zaps and rhythmic ricochets all make for a rich concoction that epitomizes the progress that has been made in techno music within this decade. The closing "A Ghost Lovestory," like the opener, is a non-'dance' piece, but is no less compelling for that fact: as a foam of white noise pans between the listener's ears, a slurred / pitch-bent refrain conjures the feeling of either entering or exiting from some erotically tinged hypnagogic state. Speaking of which, the overall impression given off by this record is that of a special kind of reciprocity: that is, of dreams influencing reality and reality feeding back into dreams. The rhythmic intensity of these tracks, at once an indicator of a hard and immediate reality, is regularly complemented by oneiric flourishes that make the partitioning line between these two realms of consciousness less distinct. As the next chapter in the Stroboscopic Artefacts saga, and in the personal journeys of both Ben Klock and Lucy, it will contribute to the ongoing mission of all these parties: giving longtime fans what they want while expanding their consciousness and inquisitiveness. Electronic Beats (Germany) Amazing! This release is a bomb!. Electronica & Roll (Italy) Atmospheric Techno. Move your brain, dance with your feet. Muno (Poland) ''This is the news of the year, Lucy + Ben Klock, dream team!''. Inigo Kennedy Some nice soundscapes and interesting design here. Good stuff.